New York City, NY – A few interesting developments have emerged from the Billboard Top 200 albums chart this week, with Bruno Mars and Travis Scott/Quavo all recording impressive numbers for the week ending January 11. Elsewhere, Lil Skies’ latest project had a solid debut while all of last week’s Top 10 suffered a decline in sales. Bruno Mars’ 2016 studio album, 24K Magic, jumps 11 places to #4 this week following the release of the project’s latest single, “Finesse,” and its accompanying remix with Cardi B. Billboard states that for tracking purposes, “the remix is merged with the original version and contributes to the SEA and TEA units of the song’s parent album.” The #4 spot is the album’s highest-ranking position in eight months. During the seven days leading to January 11, the LP moved 36,524 total album equivalent units, a 75% increase on the 20,913 total album equivalent units moved the week before. Lil Skies’ latest, Life Of A Dark Rose, debuts at #23 on the Billboard Top 200 chart this week after moving 16,664 total album equivalent units, even with a shorter sales window since the project dropped on January 10. 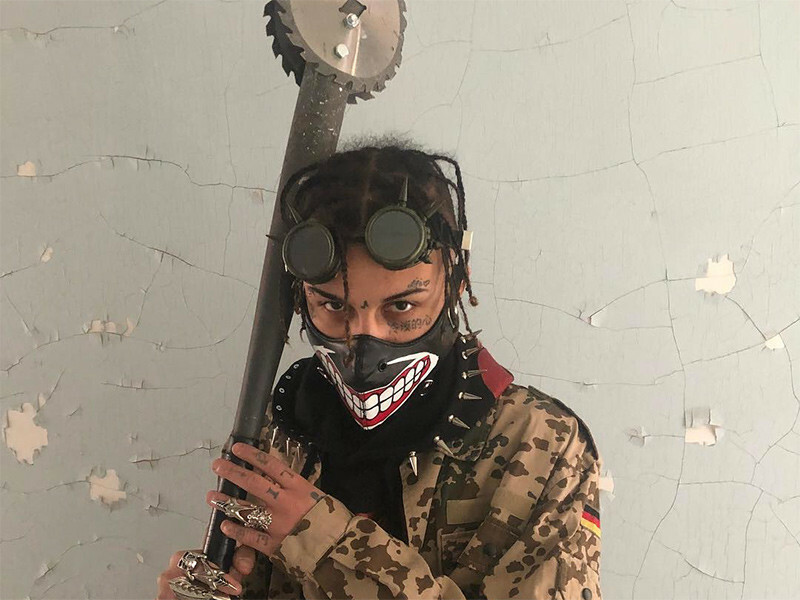 The 19-year-old from Waynesboro, Pennsylvania released the 14-track mixtape – which features the heavily streamed “Red Roses” – via All We Got Ent/Atlantic Records. The rising rapper also came through #DXLive last week. Travis Scott & Quavo’s recently released collaborative LP, Huncho Jack, Jack Huncho, is the most streamed album on the Billboard Top 200 chart this week. Despite suffering a 17% decrease in total album equivalent units, the project achieved a streaming count of 44,841,108 during the seven days leading to January 11. The closest album to rival the duo’s LP is Post Malone’s Stoney, which garnered a streaming count of 44,310,482 during the same time frame, after 57 weeks on the chart. Lil Durk Didn't Mean To Offend "The Suicide People" With Remake Of Logic's "1-800-273-8255"